Commission on Human Rights finally summons guts to dig into Digong Duterte’s claim of vigilante justice for his 1,700 victims---after prodding by Amnesty International. His appeal to various social classes stems from people’s disgust with near-paralysis of P-Noy administration, but Duterte has his own merits. Properly motivated as DILG Secretary, he could reform PNP vs. drug lords and criminal syndicates, but he also needs a strong president to handle him. Can President Binay handle DILG Sec Duterte? Finally the Commission on Human Rights (CHR) has decided to investigate Davao Mayor Rodrigo Duterte’s braggadocio about his having caused the summary execution of some 1,700 people over the years since the late 1990s. But the question is, why did the CHR need the go-signal of the Palace before it moves, when it is conceived AND ESTABLISHED by the 1987 Constitution to be “AN INDEPENDENT OFFICE” vested with enormous powers and its own budget to be “automatically and regularly released.” All these attributes were meant to guarantee the CHR’s independence, regardless of which administration is in power. The CHR, headed by former human rights advocate Chito Gascon, has been quite timid in President Aquino's administration, so that Amnesty International even beat it to the draw. A few days back AMI expressed shock and concern over revelations of Mayor Duterte about his “vigilante justice” toward 1,700 victims. It’s a sad day indeed when the more intelligent among the electorate---not the CHR---have to prod Mayor Duterte to reveal the list of names of his claimed 1,700 summary executions victims---when existing law-enforcement agencies and courts should have taken the lead to subject him to proper investigation, as he is running for the highest office in the land. Such is what a government of laws ought to do. 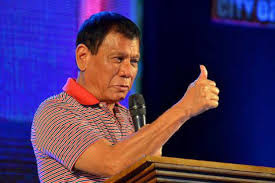 In recent days political pundits around the world must be having a field day analyzing the current slew of candidates for president of the Philippines--- most especially the colorful mayor of Davao with his singular claim to fame about the 1,700 summary executions. These pundits must be wondering whatever happened to the democracy that the Americans sought to inculcate in these fair isles. Indeed, the question can be rightly asked in foreign shores: how have the Filipinos come to this sorry state in their politics? 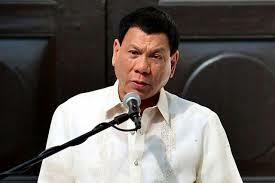 I’ve heard it said by foreign observers that the candidate vying for the Republican nomination as US president, Donald Trump, is saying a lot of crazy things, but our Rodrigo Duterte seems bent on outdoing Trump. Foreign pundits, however, must realize that such claim to fame hurts us Pinoys more than they know. Duterte drips with show-biz bravado as he plays up having two wives and numerous girl-friends, as he kisses protesting girls in public, shocks Amnesty International and now prods the CHR to move in on his claim of 1,700 people as victims of "vigilante justice” by the notorious “Davao Death Squad.” Duterte also shocked the Church by first insulting the Pope and then advocating the return of the death penalty which the Church has opposed worldwide. Various people seem to succumb to the mystique of the flamboyant Davao toughie, but I believe that he’s just a flash in the pan; that ultimately, as his show-biz aura wears off and the investigations of the CHR get underway, sobriety would prevail over most of his fans and they’ll think twice about supporting him. Duterte is currently thriving on his Wild Wild West image of riding into the sunset with guns blazing, and it’s easy to see how this image would appeal to the broad masses who are suckers for show-biz personalities---AND DESPERATE FOR CHANGE FROM THE CURRENT REGIME THAT SUFFERS FROM LACKADAISICAL PERFORMANCE, ESPECIALLY VS. CRIMINALITY AND LAWLESSNESS. Duterte’s attraction for the citizenry---his tough, kamay na bakal approach to criminality and lawlessness---becomes understandable when juxtaposed against the namby-pamby manner of the Aquino administration in dealing with the problems of the nation. Nothing is more glaring than the inability of this administration to deal with the “Laglag bala” scourge in the premier airport--- how it took three months to finish the investigation and it still managed to arrive at the wrong conclusion: no syndicate involved. Knowledgeable observers fear that a Duterte presidency could lead this country to greater perdition for a number of reasons---aside from his propensity to take the law into his own hands and be judge and executioner at the same time. Without detracting from the obvious need to move the wheels of justice faster, the President of this country that’s bitterly divided into opposing classes and politics needs to listen to the voice of his people from various walks of life. Given Duterte’s king-size ego and sobrang bilib sa sarili, however, would he lend a good listening ear to the nation’s problems? Would he consider differing opinions from his hand-picked Cabinet or will his officials all be terrorized into silence? Listening to the people, beginning with those who work closely with him, is a vital aspect of being President. Benigno Aquino III didn’t have much of this gift and thus he isolated himself from the masses---out of sync. Would Duterte make a listening President, given his enormous ego and boastful nature? In the rarified atmosphere of the presidency such an ego would have to be fed tremendously. Various pundits, in fact, have raised the possibility that President Duterte would be another dictator, like the one who imposed this lamented blight on the country in 1971. Doubtless the military is watching Duterte’s pronouncements. I am not for Duterte, but I submit that he is not entirely bereft of merit. In fact he ought to be very much a part of the government that would take over from Benigno Aquino III, after the one-year observance of political reclusion. Duterte would make a good DILG Secretary who could revamp and reform the police organization, and sow fear of the Lord into corrupt policemen who are in cahoots with drug lords and crime syndicates. Reform the police and you reform society and rid it of the unsavory elements. To achieve these reforms, however, Duterte would first need to reform his mental framework and operate 100% within the justice system---to prod the courts, which have their own scalawags, to grind faster and render impartial justice to every man. Above all, he would need a strong President to handle him. For instance, can a President Binay or a President Roxas handle him? Senate President Franklin Drilon is right: the Comelec en banc and the SC should rule on the disqualification of Grace Poe NOW, BEFORE THE BALLOTS ARE PRINTED, and not after the elections, as former Comelec Chief Sixto Brillantes, who lawyered for FPJ, is asserting. Brillantes’ thesis is a formula for a revolution. The SC should forego X’mas vacation to resolve this issue NOW. 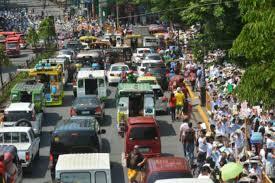 Traffic in Metro Manila has become so hideous that it has affected many events. The Ateneo University homecoming in Quezon City last Dec. 5 was far short of successful---as many alumni were too frightened by the monstrous road snarls to even try to attend. A couple celebrating their Golden Wedding anniversary in a five-star Makati hotel that night ended up with many tables empty---which they had paid for in advance. Traffic at this time of the year will always be bad, but it could be ameliorated with determined effort and intelligent planning; there seems to be little of this or none at all. For instance, while on Ayala Avenue en route to SM Mall recently, I saw only one uniformed guy attending to the traffic, while his colleague was leaning on a lamppost, busy on his cellphone all the time. Rushing to Sta. Isabel College for a concert two nights ago (organized by excellent baritone Joseleo Logdat, which turned out quite good), I took Pasong Tamo Ext. toward Bautista St. in Makati and worked my way up towards Manila, but all the streets were choked. One or two uniformed guys tried to remedy the situation but didn’t have the know-how; perhaps they were janitors shifted to the streets at night. Whatever happened to the much-ballyhooed Highway Patrol Group (HPG) launched two months ago to relieve traffic? It is all very Filipino style: ningas-cogon, bahala na kayo. We all knew it would be super-bad at Christmas time, and the authorities should have prepared, but they did not. Last Thursday, a group of us that included former Speaker Jose de Venecia, had coffee at the Manila Polo Club in Makati City, after the analytical talk by former UE Law Dean Amado Valdez before the Rotary Club of Manila (RCM) on the disqualification cases vs. Sen. Grace Poe. A group of waiters milled around and lawyer Sal Panelo, who’s campaigning hard for Davao Mayor Rodrigo Duterte, asked them who they were for and they quickly replied, “Duterte po. 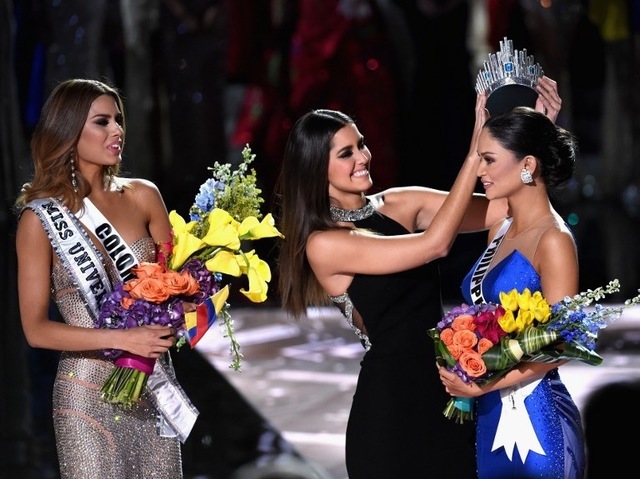 “ Panelo grinned hugely. Civic leader Minerva Tanseco then quickly pointed out to the waiters that Dr. Elenita Binay, wife of Vice President Jejomar Binay, was also there last week and they were all for Binay. Big laugh all around, including among the waiters themselves. O sino sa inyo ang para ki Grace Poe, a guest shot at them and this time they became shy about shifting allegiances. Political philosopher Joseph Wood Krutch famously wrote on this issue in the economic sense: " 'Scorn not the common man,' says the age of abundance. 'He may have no soul; his personality may be exactly the same as his neighbor's; and he may not produce anything worth having. But thank God, he consumes.' " We can change the term “economic” to 'political' and that seems to apply to the lot our working class folks are in today. For too long the ‘common man’ has been taken for granted in Philippine politics. There was Ramon Magsaysay, “The Guy,” who was hugely popular with the masses, but death snuffed him all too soon; then came Joseph Estrada who cultivated the appearance and manner of the man of the masses, but he turned out to be super-elitist in tastes and was booted out of office. Now the 'common man' is back with a vengeance to claim his place in the nation’s life and politics. Duterte’s strength is being analyzed to death---how this guy with the craggy face speaks the masa's lingo with his unabashed profanity, his swagger about having taken the lives of a number of people---the PH version of the Wild Wild West character--his ready predilection for womanizing and other habits that working folks only know too well. On the other hand, Grace Poe is anchoring her campaign on the perception of her wide-eyed purity and demureness, as well as her claim to “continue” her father’s legacy, even if, as columnist Amando Doronila put it, FPJ’s legacy was indelibly marked on the celluloid screen, so that Grace should be in the realm of films. In the case of VP Jejomar Binay, he has long held a lock on the working class, especially the OFWs whose cause he has defended abroad over the years. 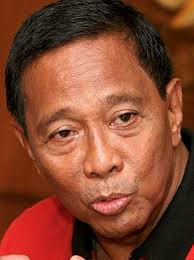 Moreover, Binay looks like a certified proletariat himself---dark of skin but even darker now as he campaigns relentlessly in family wakes and all over the country. Accusations of corruption against him by the Senate Blue Ribbon for nearly a year and a half appear to have impacted little on the masa. At the RCM meeting former law dean Amado Valdez argued succinctly that Grace Poe’s disqualification cases rest securely on the fact that while she became a US citizen in 2001, but sought to reacquire Filipino citizenship in 2006 (evidently in anticipation of running for high office after her adoptive father FPJ made a strong showing in the 2004 presidential elections vs. Gloria Macapagal Arroyo), she still managed to use her US passport five times--- until 2010 when she accepted the MTRCB Chief job. Dean Valdez also pointed out that RA 9225, the Citzenship Retention and Re-Acquisition Act of Aug. 29, 2003, does not restore one’s natural-born status but only enables a former Filipino citizen who had earlier opted to be naturalized in a foreign country, to reacquire his Filipino citizenship. In fact, noted Valdez, during congressional discussions on this law, lawmakers were silent on the natural-born issue which continues to hound Poe today. But what rightfully disturbs many folks as well was what former Comelec Chief Sixto Brillantes was quoted by a major daily as asserting---that neither the Comelec en banc nor the Supreme Court is qualified to determine whether Grace Poe may or may not run in the 2016 elections. Brillantes asserts that “The sole judge of the qualifications of a President is the Presidential Electoral Tribunal (PET)” and he cites the case of a former presidential candidate named Vitaliano Acosta, who was considered a nuisance candidate, but whose name appeared on the ballots nonetheless; after the elections Acosta’s name was simply withdrawn and his votes were not counted. Brillantes is quoted as saying that since the Comelec en banc and the SC have no authority to strike out Poe’s name now, before the elections, her name should just be allowed to be printed on the ballots being prepared this month; anyhow, he reasons, Poe's votes could be stricken out should she be disqualified later on. Brillantes' opinion is startling especially since he had until recently headed the Comelec whose three-member second division, in the incumbency of his successor Andres Bautista, had already recently disqualified Poe on this very issue of her lack of the required 10-year residency for presidential candidates. Moreover, Brillantes must doubtless be aware that the High Court has the last say on issues within the ambit of the Constitution. Brillantes’ opinion on this issue runs smack against that of Comelec Chair Andres Bautista. Queried on this issue, RCM speaker Amado Valdez said diplomatically that that was not what Brillantes had said in previous occasions. At that forum I ventured that I had heard Comelec spokesperson James Jimenez opine that Grace Poe’s name would still be included in the ballot, but that votes for her could be disqualified AFTER THE ELECTIONS, should the DQ issue prosper against her later. Disqualifying Poe after the elections, however, would be a most dangerous thing to do, as she is not a Vitaliano Acosta whose case was just waste-basketed. Poe happens to be the leading presidential candidate and should she win and be disqualified later on the issues of natural-born citizenship and lack of residency, it could trigger A REVOLUTION. There’s speculation that Brillantes is twisting the Constitution on Poe’s behalf because he once was the lawyer of FPJ. He’s pretty irresponsible, if you ask me. In fact I agree with Senate President Franklin Drilon that Poe’s eligibility should be resolved NOW by the Comelec en banc; moreover, assuming it's appealed to the Supreme Court, the latter should rule on it FAST and NOW, before ballots are printed and elections are held. So much instability could ensue if the decision is postponed for after the elections. In fact Drilon is correct in asserting that the SC should conduct a special session for this issue all through the Christmas holidays. SC spokesperson Theodore Te was quoted by Daily Tribune as saying, however, that the SC won’t be holding any special session inasmuch as there is no “extraordinary issue” and no “emergency or urgent petitions filed during its recess.” Gentlemen of the High Court, resolving Grace Poe’s qualifications or lack of them for 2016 is A MOST EXTRAORDINARY ISSUE OF AN EMERGENCY NATURE---as it could foment a revolution if she were to be disqualified after being fortunate to win the presidency. SC Justices, your honors, you have to act now---in fairness to Sen. Poe and the Filipino electorate. Davao Mayor Rodrigo Duterte is reported by a major newspaper as leading in a special Metro Manila survey by Pulse Asia, just after his recent announcement that he’s throwing his hat into the ring as presidential candidate of PDP Laban. Report of Duterte’s topping this survey is interesting from many angles. For one, his declaration is quite controversial as he wants to substitute for Volunteers Against Crime and Corruption and former barangay chair Martin Dino, who was about to be declared by the Comelec a nuisance candidate for president. The whole world already suspected that Dino was just warming the seat for Duterte and that their one-two act was a moro-moro; legal luminaries, notably former UE Law Dean Amado Valdez, are now opining that such substitution is thoroughly open to question inasmuch as Dino was never considered a “serious” candidate. But the fact that while Duterte topped the Metro survey among all the social classes but scored BIGGEST among the ABC classes (38 %), indicates one significant point: people in Metro Manila, ESPECIALLY THE WEALTHIER FOLKS who are getting hurt by the high criminality rate, are upset at the namby-pamby way the administration is responding to it. They find Duterte’s “kamay na bakal” attractive. Note, too, that it’s only Duterte among the presidential candidates who gained points from last September to this month (7 points), whereas all the other candidates lost ground. Disenchantment with the administration’s handling of criminality is especially true in the “Laglag Bala” case in NAIA which President Aquino and his subalterns have consistently refused to acknowledge and take responsibility for, despite credible victims presenting strong testimony against it. Last night I fetched some relatives at NAIA 1 and I noted that majority of arriving passengers, who appeared to be mainly OFWs, had their luggages tightly wrapped in plastic bubble. This meant added costs and of course, the OFWs nurse resentment that this scam evades sensible solution UNTIL NOW. Another fact about the recent Pulse Asia survey: Grace Poe’s following dropped from 31% in September to 26% this November. I ascribe this to the united opposition of the three justices sitting in the Senate Electoral Tribunal (SET), led by SET chair and Senior Associate Justice Antonio Carpio, to her emotion-laden argument that foundlings deserve political recognition and opportunity to serve in the highest post, even if no evidence is presented about their being "natural-born;" that deprivation of this privilege to Grace Poe constitutes a grave injustice to all foundlings. SC Justice Teresita Leonardo de Castro, who sits in the nine-member SET, bluntly disputed in her dissenting opinion the majority decision---evidently politically-motivated----of five senators---that seeks to allow foundlings to run for the highest office sans verification of parentage. Said Justice de Castro: “The definition of a natural-born citizen, under Sec. 2, Art. IV of the 1987 Constitution, cannot be met by a foundling even if the disputable presumption is applied, because before the said presumption can operate, the fact of being a foundling must first be established by a legal proceeding, according to RA 9523.” (emphasis BOC's). In other words, De Castro argues, the privilege of running for the highest office CANNOT BE AUTOMATIC FOR A FOUNDLING. It’s easy to predict that the well-articulated opinion of SC/SET Justices Carpio, De Castro and Arturo Brion on the quo warranto proceedings in the SET would influence the thinking of their colleagues in the SC on the eligibility of Poe to run for President in 2016---especially since she made the mistake of slamming Carpio’s dissenting opinion in the SET in media. Legal luminaries reviewing the arguments of Grace Poe stress, however, that more than the foundling issue, A BIGGER HURDLE for the late movie icon Fernando Poe's daughter is the RESIDENCY issue against her, which is backed up by documented evidence of inaccuracies. As former UE Law Dean Amado Valdez argues, Poe-Llamanzares only renounced her US citizenship in October 2010, so that her move does not answer the 10-year residency requirement of the Constitution for those seeking a senatorial seat or the highest office. Thus, experts point out that Poe will still lack five to six months to overcome the 10-year requirement by the elections of 2016. 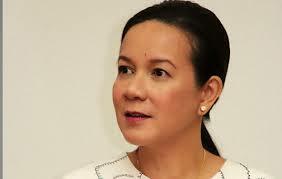 I can see a looming disqualification of Sen. Poe from the presidential race, but another complication being whispered about is: how fast will the DQ be handed down? There’s talk that Poe’s strategists are praying for a delay so that come the printing of ballots late next month, her name would still be in those ballots; thus, should she win, it could be argued that it’s “Vox Populi” as well as an “act of God;” the DQ then becomes moot and academic. I’m sure, however, that the SC justices are well aware of this possible complication and would not delay resolution of this issue---in fairness to both Sen. Poe and the electorate. VP Jojo Binay’s case, according to Pulse Asia's special poll, is interesting on several counts. While he slid down from 26 percent in September to 22 percent this November, it’s evident that Binay continues to enjoy a solid 21% of Class D and a whopping 32% of Class E---the working classes. A senator told friends that in a visit to Boracay recently, he made an impromptu survey of the waiters in several resorts and they turned out to be all for Binay. In other words, it’s indisputable that Binay has a lock on the masa vote; but the question is, would the working folks be able to vote on election day? This is where party machinery comes in: does Binay's Partido ng Masang Pilipino have the wherewithal to move the masses to vote? On the other hand, I hear from some quarters that despite the parade of corruption allegations hurled at the Veep from the perceived as too-biased Senate Blue Ribbon Committee, he seems to be increasingly scoring well, too, with the upper classes (14 percent). This is because the perception among them is that more than the issue of corruption, they want someone WHO CAN TAKE CHARGE OF THE COUNTRY AND RUN AND GOVERN IT. Binay is perceived as having a better grasp at governance due to his long experience in the executive branch. Binay is also seen as having solid backing from organizations he had nurtured, such as the Boy Scouts of the Philippines and the sister-cities relationship across the country, as well as with the OFWs due to self-appointed missions on their behalf that he has undertaken. He is also an indefatigable campaigner: celebrating the anniversary of Yolanda in Tacloban the Veep hopped over next to the tiny municipality of La Paz in Leyte with its 15,000 population! Walang patawad in wakes too. This is the dilemma that haunts the well-endowed Liberal Party. President Aquino’s image has been found wanting on issues of governance and in resolving problems affecting the citizenry's welfare, e.g., mass transport, traffic, the airport mess, etc. Because of his closeness to P-Noy, LP presidential bet Mar Roxas is being affected by this wimpy image of the administration. 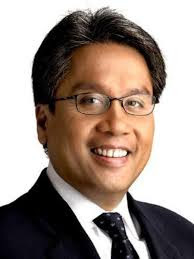 Ironically, however, when Mar was excluded from the planning and execution of the Mamasapano operation, the citizens were sore at him for not resigning on the spot when it blew up. That the Wharton-trained technocrat is in a tight dilemma vis-a-vis the administration is borne out by the Pulse Asia survey that shows him in the cellar, with only 13 percent from the ABC class (Binay even beat him in this class by 1 percent), 12 percent from the D class and five percent from the E class. Mar also lost two percent between the September and November surveys. Projection is everything in the elections and Mar just has to project more dynamism and distance himself a bit from the administration. This scion of two wealthy clans also has to find ways to connect more genuinely with the masa. (Next, the crucial question: if Digong Duterte’s candidacy is disallowed and Grace Poe is disqualified, who profits from votes of their followers?). The last of the attendees at the week-long APEC Summit of Leaders and related events has left and we can only thank the Lord that nothing untoward had happened to anyone of them. Nor has the Summit been marred by any serious violence and disturbance. Congratulations are in order to 10,000 police and AFP personnel who stood guard for as much as 10 grueling hours each day, many in the heat of the sun and in eyeball-to-eyeball confrontations with leftist groups who seemed equally determined to stretch their patience and their peace. Plaudits are in order for the discipline displayed by all the unsung heroes who kept the APEC Summit running smoothly. Orchids specially to over-all APEC director Marciano “Jun” Paynor, a former military man later appointed Ambassador to Israel and then Consul-General in LA. Jun Paynor has walked just about every President since FVR though innumerable state visits and events abroad, and at the moment he seems irreplaceable. The Summit organizers strove to project what they interpret as the Filipinos’ best foot forward in terms of glittering elegance that marked the various events, and indeed projected were the exquisite ternos of the Filipino ladies and the impeccably-tailored barong tagalogs by Paul Cabral; the elegant dinner settings at the PICC that brought out Kenneth Cobonpue’s genius at interpreting native themes in furniture, and at the 5-star hotels, the-top-of-the-summit entertainment and cultural fare, etc. All these glittering scenes duly recorded by star-struck media were bedazzling to plain folks watching in their TV sets at home, as the VIPs were unloaded by an awesome fleet of BMWs and Mercedes Benzes. It seemed a cross between the glitzy annual Hollywood Academy Awards in LA and elegant White House happenings of the Kennedy years. But behind the aura of fabled elegance there was the other face of Philippine reality: the unforgettable photos of long lines of commuters marching stoically along Roxas Blvd. last Monday and Tuesday, likened to the Capas Death March by some commentators; the bumper-to-bumper traffic on the one lane marked for the hoi polloi on EDSA, vs. two empty lanes reserved for APEC participants and their alalays. There’s the endless stories of plain folk being stranded that inglorious Monday and how they crept into their homes or work place ten or twelve hours late, etc. There were two instances recorded of women delivering on the road, aided by police elements with some know-how about midwifery, while concerned passers-by shielded the instant mothers with umbrellas for privacy. One baby was named “Coastal"--another inspired thinking from the unsinkable Pinoys. 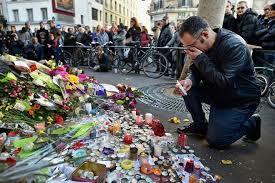 Many were also stranded with the cancellation of local and foreign flights. There were endless stories from the broad masses somewhat resentful of what was happening in the PICC and the 5-star hotels, and who, in true Filipino genius, handily coined the word “APEC-tado” to sum up their alienation from the temporary reality and their disenchantment with the glittering events---the great class divide at work even then. For the unbearable traffic, they coined a new term: "TRAPEC." Kris Aquino’s viralled comment about how she got “sunburned” while touring the APEC leaders’ wives in Intramuros---so that she’s now even with those complaining about walking many kilometers under the sun---didn’t help the broad masses feel better. My manicurista opined that if Kris didn’t wear a terno with a wide-open back, she wouldn’t have burned at all; in the first place, she asked, why should presidential kid sister show up in a terno for that daytime tour, whereas the visiting ladies were all in pants-suits and walking shoes? Kris later apologized in her FB page for this spontaneous remark about being burned, which was in order. 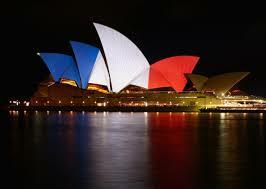 I think not one Filipino would have been caught wishing the APEC Summit ill; in fact everyone’s relieved that nothing untoward happened, especially in the light of all the tensions stirred by the Paris attacks and now fears of similar imminent attacks on Belgium. But ordinary Filipino folks may have nursed a resentment of the Summit for a number of reasons. One is that it heightened even more the great divide between rich and poor in this country. In their efforts to project “the best of the Pinoy” to the visiting dignitaries, the organizers managed to rub in that huge chasm. I PERSONALLY FEEL THAT THE APEC EVENTS COULD STILL HAVE BEEN ELEGANT BUT A BIT TONED DOWN, ESPECIALLY SINCE OUR HOST COUNTRY HAPPENS TO BE THE THIRD-POOREST IN APEC and the other countries know about the poverty in our midst. What the organizers put on for APEC may be likened to a poor fellow pulling all the stops to entertain visiting rich relatives, out of a deep-seated complex. Moreover, while it was necessary to cordon off lanes for visiting leaders and their delegations numbering nearly 10,000 people, the physical great divide during APEC week only rubbed more salt on the daily travails of Metro Manila commuters. I really think the APEC should have been located to Clark Freeport or perhaps Mactan in Cebu, but news items stressed that President Aquino wanted Metro Manila to showcase the progress made here in his term. Metro folks, however, are plainly cynical about this "progress"---given the hideous daily traffic, the poor state of the mass transport system and of the major airport and its scandalous scams. To be sure, there were bright moments at the APEC Summit, but again, these were linked precisely to the problem I cited above—the great divide between rich and poor, and how it is being bridged. One was the dialogue between Jack Ma, the Chinese billionaire-founder of e-commerce giant “Alibaba,”and our very own Aisa Mijeno, the youthful inventor of the salt water-powered lamp. 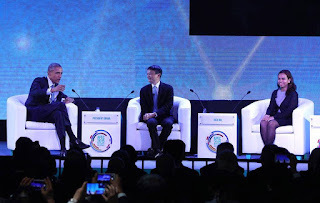 The forum was moderated by no less than US President Barack Obama, who had earlier called Aisa from the White House to appear with him in that forum. Aisa, an engineer and current faculty member of the Engineering Department of De La Salle University-Lipa, explained in the televised forum how her invention will open our islands and remote mountain areas to light (it was during a trek to the mountains of Kalinga where the concept of her project began). 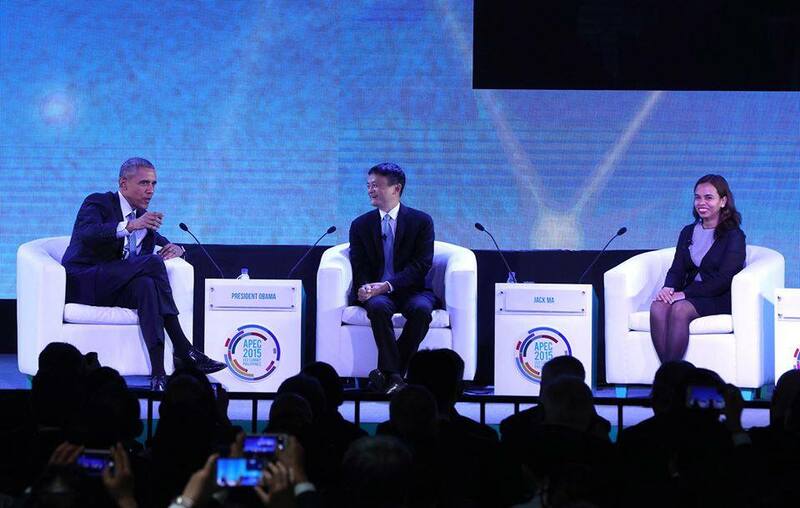 Obama and Jack Ma were speechless during Aisa's presentation and when they recovered their wits. they pledged assistance to her project---a step forward for SMEs. 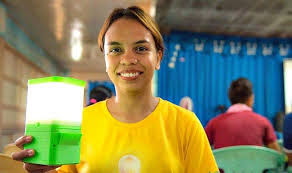 I myself am thrilled by this young Filipina's pioneering invention as I have visited a lot of remote areas of our country which, with the help of solar powered equipment from the PNOC, were opened up; students could then study together at night in some communal nipa, instead of using candles and kerosene lamps. Once, too, I was in a small island off the coast of Palawan and I watched how solar power was attached to a hut and the entire island brightened up and became a haven of safety for fishermen during storms. Aisa’s invention, using even salt water from the sea, is far more revolutionary for our archipelago. Aptly, she calls her project not an idea but "a social movement." We're proud of you, Engr. Aisa Mijeno. Another bright spot in the APEC Summit was the visit by Japan’s First Lady, Mrs. Akie Abe, to the Payatas dump site in Quezon City where Japanese ladies have been assisting poor families in cottage industries. Mrs. Abe came dressed very simply, with no jewelry at all, and after being photographed inside the humble shack with a family, she visited the outlet for handicrafts made by these families and purchased items to give as gifts in Japan. Netizens lost no time juxtaposing Akie Abe’s photos in all her simplicity with that of a Kris bedecked with her thick diamonds-studded necklace at the PICC dinner.